Over the years, the nuclear medicine/radiopharmaceuticals market has witnessed various advancements. The global nuclear medicine/radiopharmaceuticals market is growing due to the increasing number of radioisotope approvals for different clinical indications. Tc-99m and F-18 are estimated to be the highest contributors to the nuclear medicine/radiopharmaceuticals diagnostics market; whereas, Ra-223, I-131, and Y-90 are estimated to be the highest contributors for the nuclear medicine/radiopharmaceuticals therapeutics market in 2015. In the nuclear medicine market medical isotope generators are used to produce many regular used imaging isotopes. Gallium-68 and Technetium-99 generators are extremely radioactive and need to provide shielding, which is generally composed of either lead or tungsten. Without proper shielding these radioactive generators cannot be shipped or used in their applications. Radioactive generators require shielding, which is usually composed of either lead, tungsten or a combination of both metals to provide the best shielding solutions. Tungsten, Lead or a Combination? Density wise, tungsten has a higher density than lead. Lead has a density of 11.34 g/cc; tungsten has a density of 17.3 g/cc. The cost of tungsten is around 25 times the price of lead because of the material difference and the processing needed. Tungsten is a tougher shield than lead. A hybrid or a combination of both the metals along with some other materials is the best option, as they prove to be more functional and produce cost effective results. Are you looking for quality shielding of medical isotope generators? Contact Us! 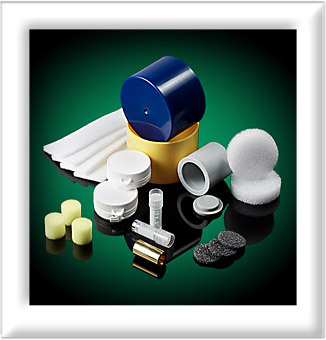 If you are in need of a shielding container or generator shield for nuclear medicine material and are looking for quality shielding of medical isotope generators, call Mediray, Inc at 877-898-3003/914-979-2740 or email:sales@mediray.com.